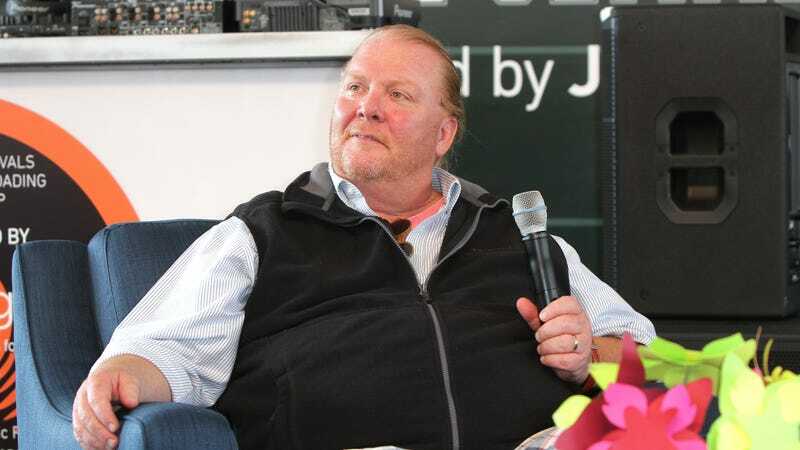 On Friday evening, disgraced TV chef/restauranteur Mario Batali thought he might put some frosting on the Mario Batali sexual abuse apology tour by sending out his apology to newsletter subscribers with a PS: a link to mariobatali.com at the end disguised as a “holiday-themed” pizza dough-cinnamon bun recipe of contrition. It is as patently awful as shorts and crocs on a sweaty man. As far as Bad Man apologies go–bungled PR attempts to polish the turd and return the Bad Man back to the public eye as a Good Man–it is a masterpiece. As many of you know, this week there has been some news coverage about some of my past behavior. I have made many mistakes and I am so very sorry that I have disappointed my friends, my family, my fans and my team. My behavior was wrong and there are no excuses. I take full responsibility. Sharing the joys of Italian food, tradition and hospitality with all of you, each week, is an honor and privilege. Without the support of all of you — my fans — I would never have a forum in which to expound on this. I will work every day to regain your respect and trust. ps. in case you’re searching for a holiday-inspired breakfast, these Pizza Dough Cinnamon Rolls are a fan favorite.